twenty languages, and winner of back-to-back RITA Awards for best historical romance from the Romance Writers of America. Going into the book, I already hate Malcom based on his appearances in previous books. Sarah MacLean’s whole audience already hates him. And we don’t hate him by mistake. We hate him because he deserves it. He treats Seraphina like dirt – he cheats on her. WHEN SHE IS PREGNANT. This second-chance romance isn’t just about Malcolm earning Sera’s forgiveness – he has to earn the entire audience’s forgiveness. Looking at it that way, Sarah MacLean basically set herself up for failure. Nevertheless, she persisted. And crushed it. Before I started reading, I knew Sera deserved her Happily Ever After, but I think Mal deserved to be a part of that. By the end, I was rooting for them. I was crying and laughing and swooning. The first books in these series are on sale for just a couple more days! To celebrate the sale, authors Robyn DeHart, Ally Broadfield, and Harmony Williams are spending the week with us! Today they share the love for the historical romance genre. What do you love write (and read) historical romance? Ally Broadfield (author of the How To series): I’m dating myself here, but by the time I turned twelve during the 1980s, I had read all of the children/teen books, all the mysteries, and all the gothic novels at our local library, so the librarian showed me the historical romance section and I never looked back. There’s nothing like historical romance to help you forget about the pressures and problems in your life and experience life and love in a different time and place. Harmony Williams (author of The Ladies of Passion series): I love lighthearted, funny books. I’m also a sucker for friends-to-lovers, enemies-to-lovers, and fake engagement/relationship plots! Especially if they involve a wallflower, spinster, or governess. Robyn DeHart (Author of The Brotherhood of the Sword series): I love the atmosphere and the social rules and the clothes and British guys are hot! What historical romance books or authors would you recommend to readers new to the genre? Ally: Jane Austen (Persuasion and Pride and Prejudice), Julia Quinn (The Duke and I, Ten Things I Love About You), Amanda Quick (Mistress, Ravished, Scandal), Sherry Thomas (Private Arrangements, Not Quite a Husband), Lisa Kleypas (The Wallflowers series), Jude Deveraux (A Knight in Shining Armor), and many, many more! Harmony: Captive Bride by Bonnie Dee, One Step Behind by Brianna Labuskes, anything by Julia Quinn, Sally Mackenzie, Julie Anne Long, or Tessa Dare (especially When a Scot Ties the Knot). 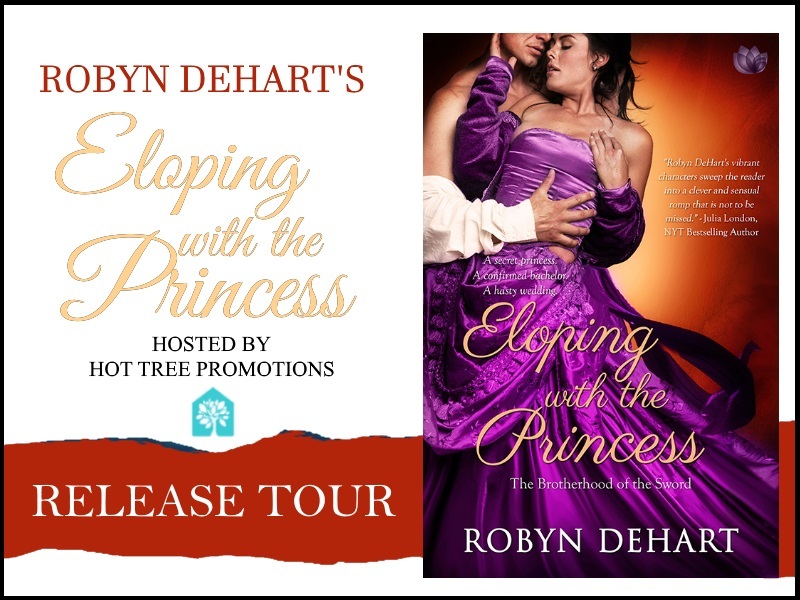 Robyn: Suzanne Enoch is my go-to girl for historicals. What about you? What’s your go-to recommendation for historical romance? I’m so excited about this series sale! To celebrate the sale, authors Robyn DeHart, Ally Broadfield, and Harmony Williams are spending the week with us! Today they’re sharing with us the toughest scene they’ve written. What has been your toughest scene to write? Ally Broadfield (author of the How To series): The black moment of every book is the hardest to write for me. You spend all that time following two people, watching them slowly fall in love, and then something bad happens, or one or both of them does something monumentally stupid, then they undo all the hard work you did getting them together. With every book, I’m always afraid they won’t be able to find their way back together. Harmony Williams (author of The Ladies of Passion series): The end of the book. Pick one and I can assure you that I’ve rewritten it at least once. All the unfinished manuscripts on my hard drive can attest that I have a lot more practice with beginnings than I do with endings. It may take a few tries but eventually I get it right! Robyn DeHart (Author of The Brotherhood of the Sword series): I had to study up on fencing for a couple of scenes in Eloping With the Princess, those were pretty tough.